Jade Little is currently employed by BHP Mitsubishi Alliance as a Superintendent for Mine Planning. She also worked in Beijing for RungePincockMinarco, an Australian mining consultancy, where she assisted Chinese SOEs list their global mining assets on the Hong Kong or Toronto Stock Exchanges. Most recently Jade has been appointed as Executive Director of the Australia China Youth Dialogue. In this interview, she shares her thoughts on the big opportunities for greater engagement between Australia and China. Media release from the minister for foreign affairs, The Hon Julie Bishop MP: I congratulate the winners and finalists of the inaugural round of the Australia-China Achievement Awards, announced by the Prime Minister on 17 November during Chinese President Xi Jinping’s visit. 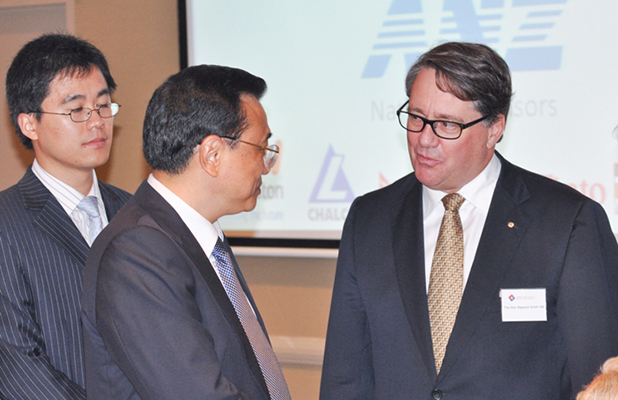 In his keynote address to the Australia in China’s Century Conference the Hon Warwick Smith AM, Chair Australia-China Council said that Australia-China Youth Dialogue has become a premier event on the bilateral calendar. To read a transcript of the speech, click here.